The Monroe Street Merchants Association and the Madison Arts Commission invite you to come celebrate the completion of Passing Through Time (2018) by Marcia Yapp during the Monroe Street Merchants Association’s 41st annual Monroe Street Festival. 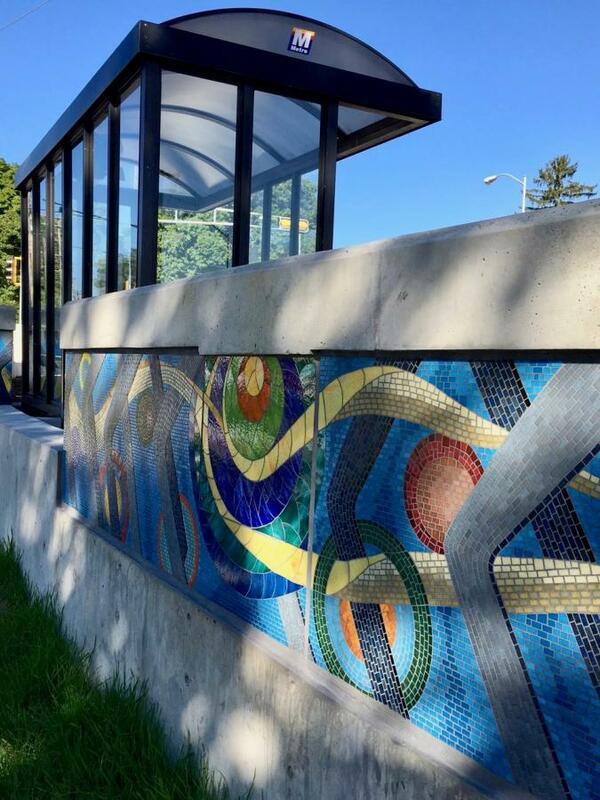 Yapp’s large-scale mosaic wall winds along the Southwest Commuter Path as it parallels Regent Street between Breese Terrace and Monroe Street across from Camp Randall Stadium. Come meet the artist, and enjoy cake from Bloom Bake Shop, sponsored by HotelRED, and “energii bites” from Monroe Street’s new Freshii restaurant. We hope you will also plan to explore the Monroe Street Festival’s music performances and other fun events!